There is a fine line between sayings that make sense. 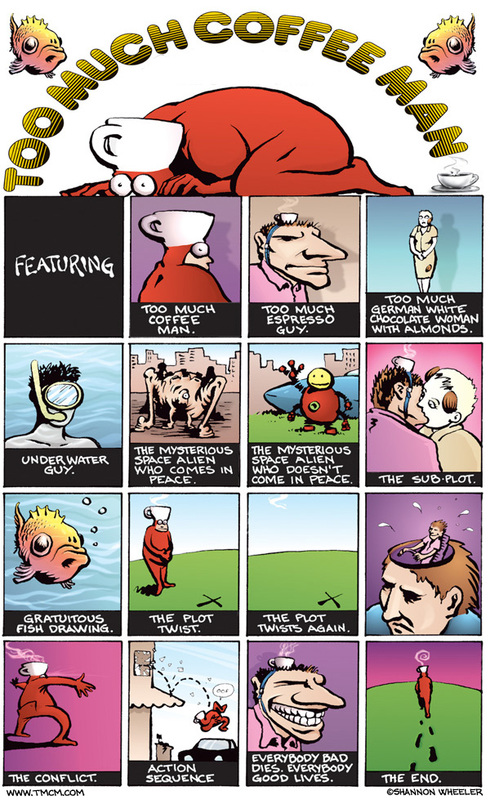 Starting out as a minicomic character, Too Much Coffee Man turned into into a long-running newspaper strip, Eisner-winning comic book series, Converse shoe commercial, one of the first webcomics, and an opera. 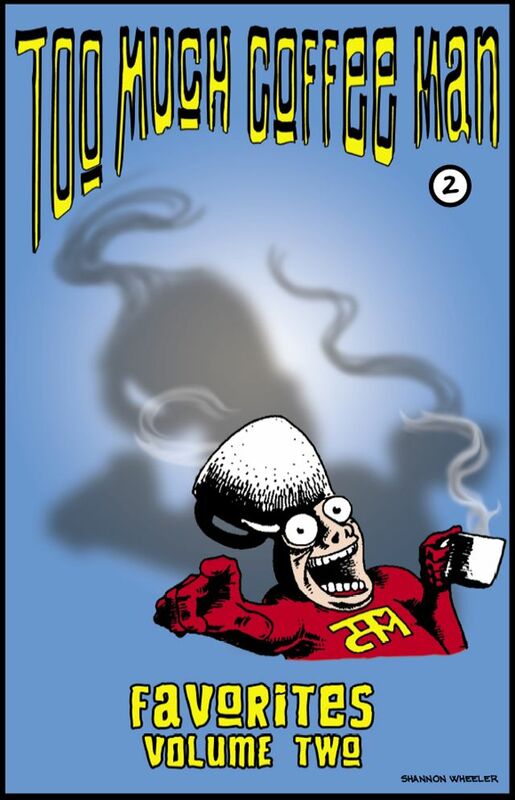 The semi-autobiographical, hyper-intellectual, high-concept comic appeals to both inside and outside the comic book world. 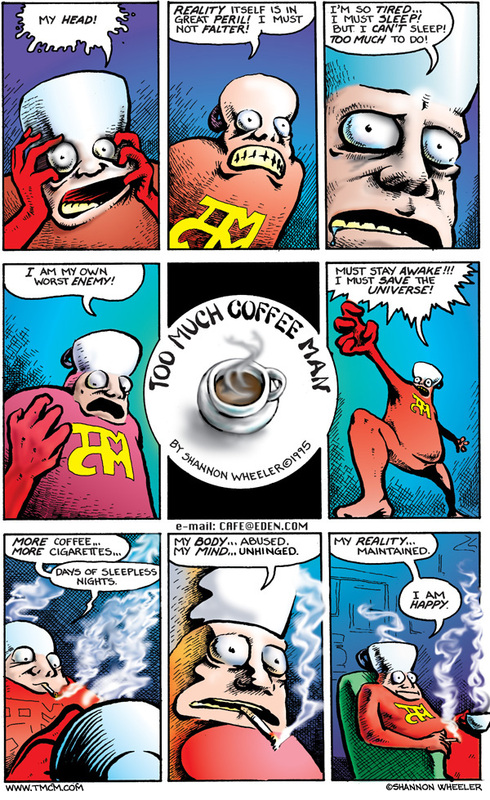 Even Henry Rollins says Too Much Coffee Man is “the only comic I would really pay attention to, because I like the idea. 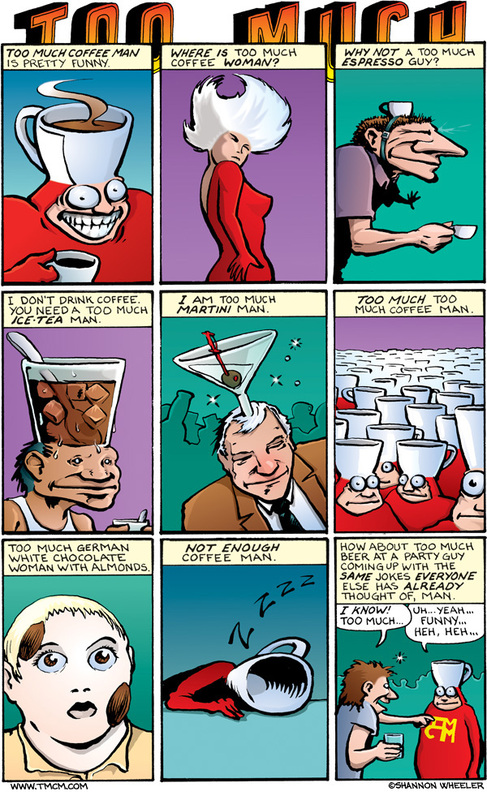 Too Much Coffee Man has a lot to say. 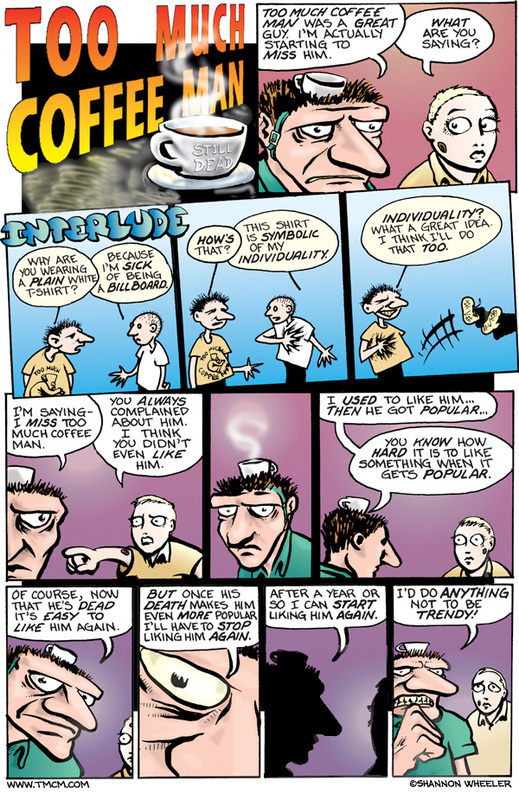 He's a great apocalyptic philosopher for our very troubled times.” Holy crap. That’s Henry Rollins.